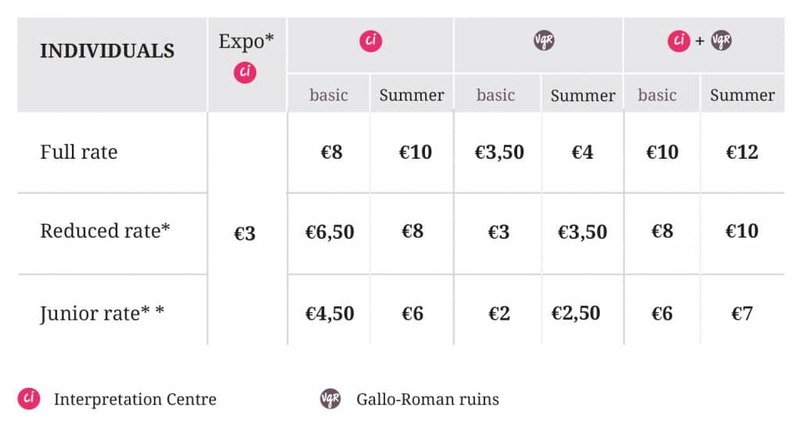 MuséoParc Alésia lets you explore three sites : the Interprétation Centre, the Gallo-Roman ruins and the statue of Vercingétorix. Built on the plain of Alésia, this building with symbolic architecture was designed by famous architect Bernard Tschumi. 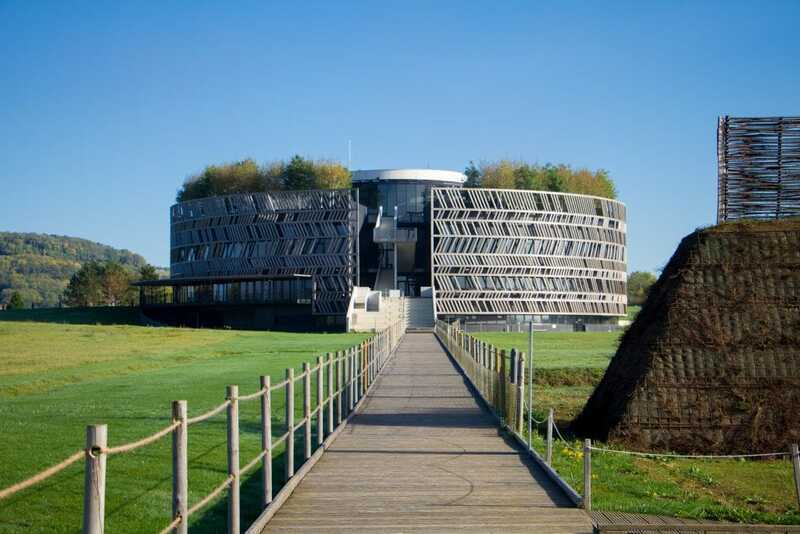 Its circular form evokes the siege of Alésia, the netting that clads the building provides a nod to the wooden fortifications used by the Romans, whilst the oblique columns of its atrium recall the chaos of the battle itself. 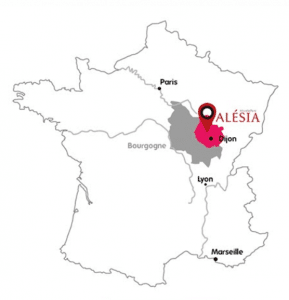 Inside, an educational trail built around archaeological discoveries and hypotheses that have been confirmed by scientists places Alésia firmly within the context of the War of the Gauls (from 58 to 51 B.C). The siege of Alésia and Caesar’s victory. The significance of archaeological findings and the myths of the Gauls complete this trail. Maps, films, displays, scale models, multi-media features and entertainments aimed at a wide range of people all combine to enhance the experience. 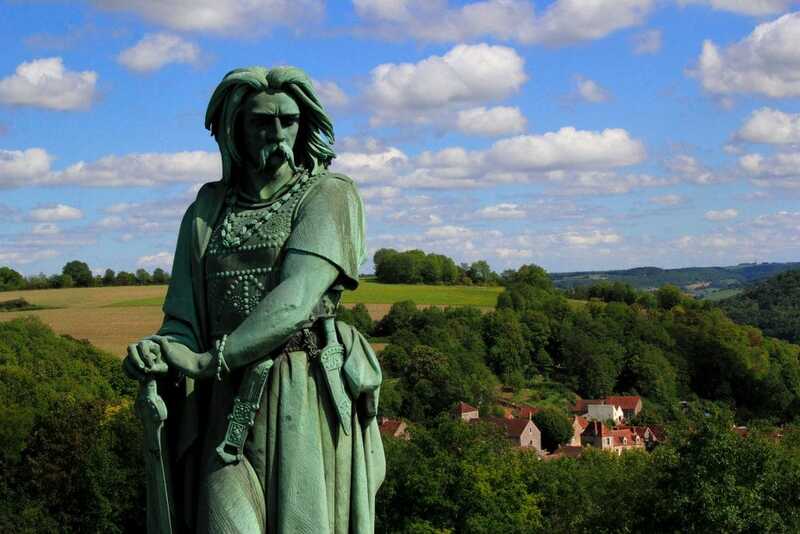 A hundred metres of so from the Gallo-Roman ruins, accessible on foot or by car, you can admire the monumental statue of Vercingétorix dating from 1865. 6.60 metres tall, this work in copper was commissioned by Napoleon III to mark the successful conclusion of the archaeological excavations undertaken at Alésia. Contemporary analysis of this statue has revealed numerous anachronistic elements and a representation of the Gauls that has now been debunked by recent archaeological discoveries and a rereading of texts from Antiquity. The statue is free to visit all year round. The exact location of the Battle of Alésia was debated for many years. In the XIX century, under the orders of Napoleon III, colossal excavations were carried out at Alise-Sainte-Reine from 1861 until late 1865. These brought to light a huge quantity of weapons, coins belonging to the Gauls and Romans and military items. What is more, the methodology employed (cross referring the discoveries with texts written by Caesar, which was truly experimental archaeology at the time) allowed for a life-sized reconstitution of sections of the battle lines and of Roman war machines. Despite the significance of these findings, the debate raged on and the scientific community remained divided. In the 1990s, a Franco-German team of archaeologists unearthed new evidence. 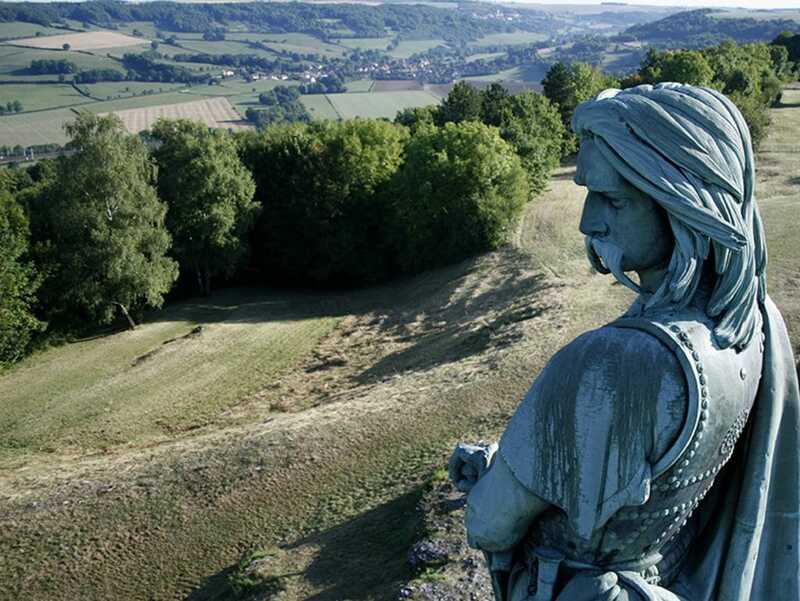 They were able to confirm that the « oppidum of Mont-Auxois in Alise-Sainte-Reine and the military siege of the first century B.C that was uncovered by archaeological digs corresponded with the Battle of Alésia ». Today, the French and international scientific community considers Alise-Sainte-Reine as the historic site of the battle. Quite naturally, it is on this site that the MuséoParc Alésia now stands. For 6 years, Caesar had been a redoubtable war general whose power was growing and was now ready to lead the War of the Gauls. In order to check his progress, the chieftains of Gaul formed an alliance in 52 B.C under the leadership of Vercingétorix, a young king of the Arverne people. In Gergovie they defeated Caesar, who decided to withdraw to the Roman province to the south of Gaul. On the journey there, his army was attacked in northern Burgundy by the armies of Vercingétorix who relied on the customary superiority of its cavalry. The Romans however, thanks to the assistance of the German cavalry, routed them. Vercingétorix therefore decided to station his troops (80,000 men, according to Caesar) at the oppidum of Alésia. Facing them was between ten and twelve Roman legions (around 40 to 45,000 men) and several thousand auxiliaries and German cavalrymen. Caesar took the opportunity to encircle the chieftains of Gaul and lay siege to the oppidum. He ordered the construction of a double line of fortifications and a whole ensemble of very elaborate traps in front of each line. Of course the Gauls did not just simply watch the Romans; they set out to attack them. The first sortie made by Vercingétorix’s cavalry resulted in defeat and he decided to send them out to bring reinforcements from all across Gaul. 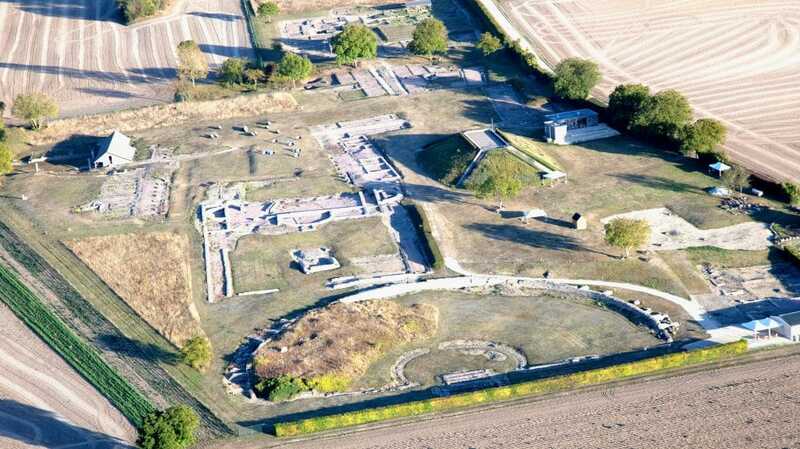 But as the days passed the Roman fortifications were visibly growing stronger and reinforcement did not arrive. The besieged Gauls were ravaged by hunger. What could they do? Surrender? Attempt another sortie? «Following discussions, it was decided that those who were too sick or elderly to be of use would leave the town» De Bello Gallico, VII, 77-78. These exiles, wandering in between the two fortified lines, died of starvation or were massacred. Help finally arrived: 240,000 infantry and 8,000 cavalry, according to Caesar. Twice more the Gauls attempted to escape and were pushed back on both occasions. When they tried for a third time, for many hours the outcome of the battle was uncertain. However, once again fortune smiled on Caesar. Under pressure from the Romans, who were supported by the Germans, the Gauls from the relief army fled. Vercingétorix retreated back inside the oppidum and elected to surrender in order to save his men. Although referred to as a “battle”, the siege of Alésia probably lasted between a month and a half and two months. The experience, discipline, resilience and organisation of the Roman troops, allied with an exceptional knowledge of the art of siege warfare, guaranteed that Caesar enjoyed a definitive advantage. 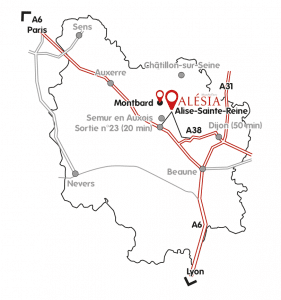 The MuséoParc Alésia welcomes you from 15th February to 30th November 2019, 7 days a week including public holidays. Last entry at least 45 minutes before the MuséoParc closes. ** Junior rate: from 7 to 16 years – Free for children under 7 years. Parking : accessible during site opening hours only. Pitches for mobile homes outside opening hours are available at Venarey-les Laumes and Semur-en-Auxois. TER : station at Laumes-Alésia, at the foot of the site. Stations are served by Transco bus n°73. By boat along the Canal de Bourgogne : River stop at Venarey-les Laumes, 2km from the MuséoParc Alésia. By bike along the Véloroute Pays de l’Auxois-Morvan trail: via the Canal de Bourgogne. 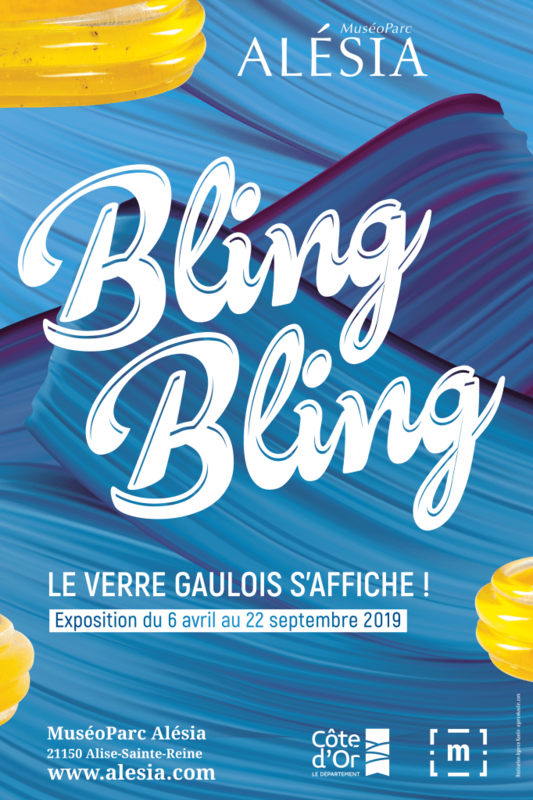 This exhibition is rounded off with a presentation at the Gallo-Roman site of the history of glassware from Gallo-Roman times to the present day. The Le Carnyx restaurant also knows how to cater to your needs. The restaurant is open from 11:45am and lets you enjoy a gourmet break for lunch or a quick snack. All-you-can-eat buffets allow you to journey back in time and to explore Burgundian cuisine with its products of the terroir. 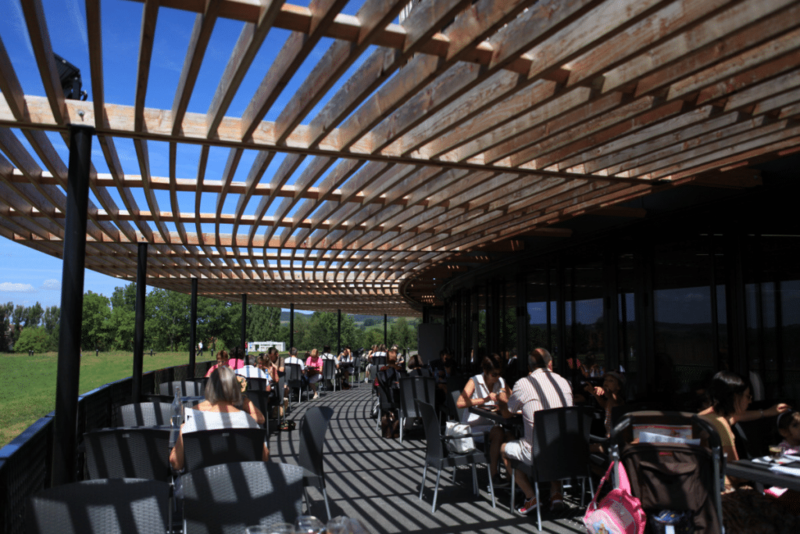 In summer, the terrace at the restaurant lets you enjoy a meal in the open air. 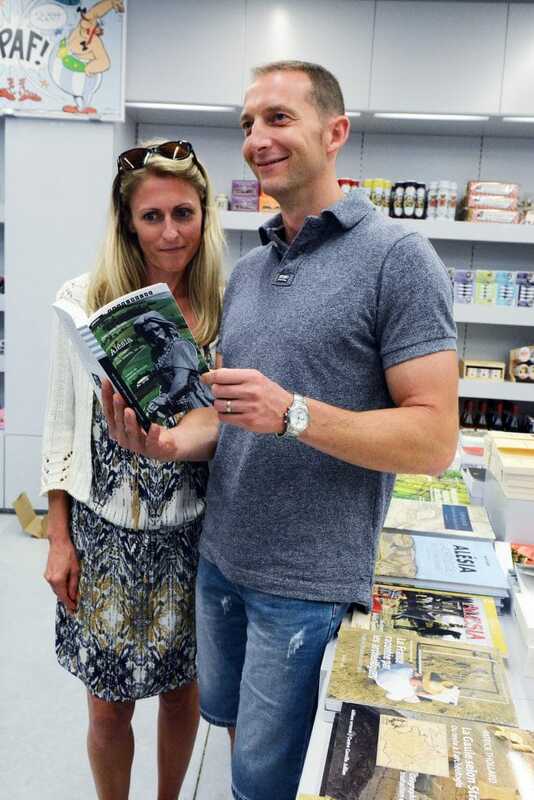 The bookshop-boutiques, situated in the atrium at the Interpretation Centre and at the reception pavilion of the Gallo-Roman ruins, let you extend your visit and will delight young and old alike. Shields, swords, helmets, games, books and magazines (available in English and German) on the siege of Alésia, the Gauls, the Romans and on the Gallo-Roman period in general will allow you to make this moment last. – Alésia; the Battle; Magazine in English. – The cuisine of Antiquity; Book in English. – 100 dates in French History; Book in English. – The History of France; Colouring book in French, English, German and Spanish. Products from this land of Burgundy, so reputed for its gastronomy, will delight your taste buds: mustard, gingerbread, wines and beers (to be enjoyed in moderation)! Pets at the Interpretation Centre. 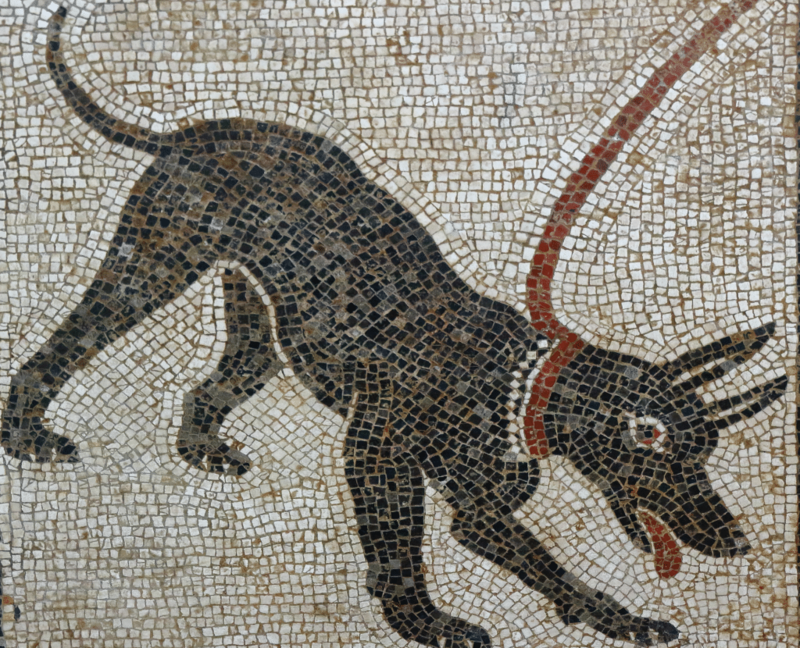 The supervised areas of the site of the Gallo-Roman ruins allow dogs only when on a lead and they remain the responsibility of their owners. The Muséoparc Alésia reserves the right to refuse entry to any pet without providing justification for its decision.